Backed by a rich industrial experience, we have positioned ourselves as a reliable Portable Track Presses Manufacturer and Supplier. 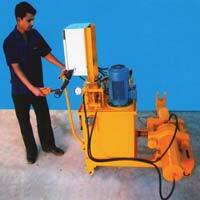 Our assortment of Portable Track Presses is inclusive of Portable Track Press TP-100 and Portable Track Press TP-150. 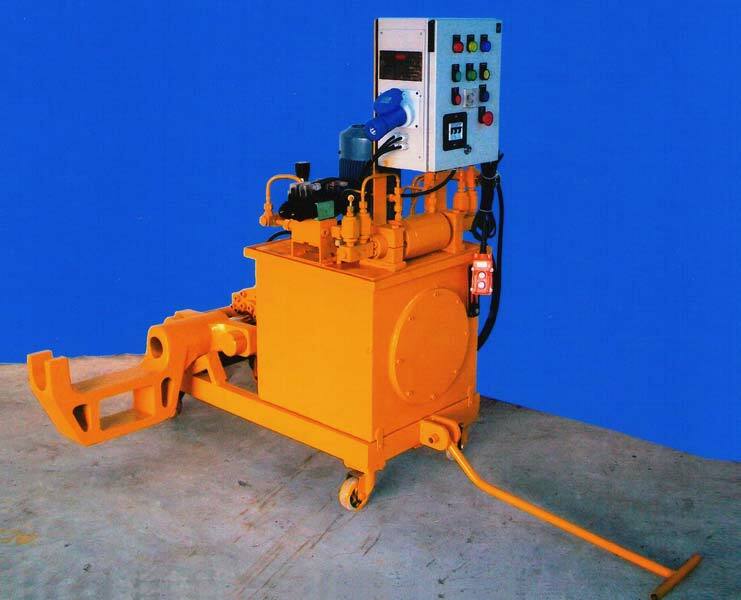 The excellent capacity of 100 T/980 kN and150 T/1470 kN make these Portable Track Presses suitable for removing and installing bushings, master bushings, rack pins, master pins, etc. Clients demand the Portable Track Presses from us owing to their robust construction, hassle free performance and high efficiency. SIMPLETEC Portable Track Press TP-100 is used for removal and installation of track pins, master pins, bushings and master bushing in the field. Capacity of TP-100 is 100 T/980 kN. It is complete with a hydraulic power pack and a ‘C’ frame structure, mounted on a trolley. SIMPLETEC Portable Track Press TP-150 is used for removal and installation of track pins, master pins, bushings and master bushing in the field. 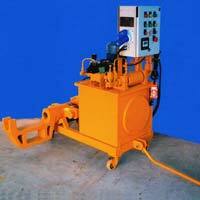 It is complete with a hydraulic power pack and a ‘C’ frame structure, mounted on a trolley. Capacity of TP-150 is 150 T/1470 kN.